Jamie Chung, Virginia Madsen, Bill Heck et al. DVD: 86 min., Blu-ray: 86 min. 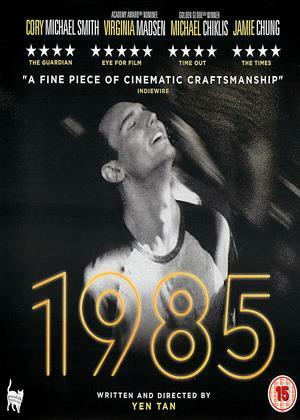 Texas, Christmas 1985 - Adrian (Cory Michael Smith) is home for the first time in three years having moved on from the repressed life he left behind. Between his mother's warm affection, his father's begrudging, stilted conversation and his younger brother Andrew's (Aidan Langford) cold shoulder, Adrian is all too aware of the impact his absence has had on them. Time to make up for lost time. A mutual love of Madonna's music helps the brothers to reconnect. Their relationship starts to rebuild through the joy of "ungodly" music and movies as Adrian secretly helps him rebuild his cassette tape collection recently destroyed by local pastor. With his life in New York City falling apart Adrian is determined to make this home visit count - 1985 will be a Christmas to remember. There is a sense in which all of us play different versions of ourselves in different situations - the me at home is not the same as the one in a job interview, speaking to friends, or on hold to the phone company facing the impossible challenge of querying a bill. At a certain stage, many of us leave home and live in a different place, a process that changes us into different versions of ourselves that can make return visits home a time of tension. Interacting with parents we have cause to wonder which version of ourselves is the most authentic. These identity issues are writ particularly large in this profoundly moving film about a man who has moved from the claustrophobic conservatism of life in an evangelical family in Texas to the relative liberation of life as a gay man in New York City in 1985. I say 'relative liberation' because this is the era of the AIDS epidemic, and this man does not have long to live. After four years he has come home but for what? To come out, say farewell, find salvation, escape the horror of the death all around him or all of the above? Shot in black and white and on film, 1985 at times looks like a student film from several decades ago. There's a scene of singing in a church where the soundtrack is very clearly not the congregation singing, which is the kind of trick you pull when you can't afford to properly set up the sound in the church. In this scene it works really well though. This is a film with a soundtrack that really underlines the feel of the film without making the audience feel manipulated. 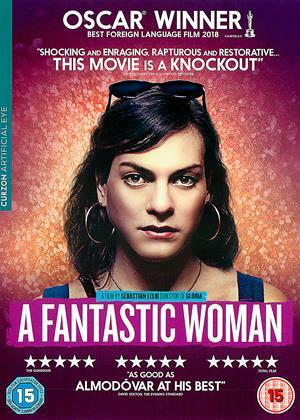 A very moving, heartfelt movie that impressed me enormously. True to life. We remember the fear, and sorrow surrounding AIDS in the 1980s. Its how it was. Although the film tells the story as it actualy was. When it finnished, we were left utterly dispondant, and depressed for the main character. There was no hope, which many victims of this horrendous disease indeed felt. So it pulled no punches, and told it how it was.. Just make sure you have time to watch a few episodes of Dads Army before you go to bed.